Well, the cat is finally out of the bag! 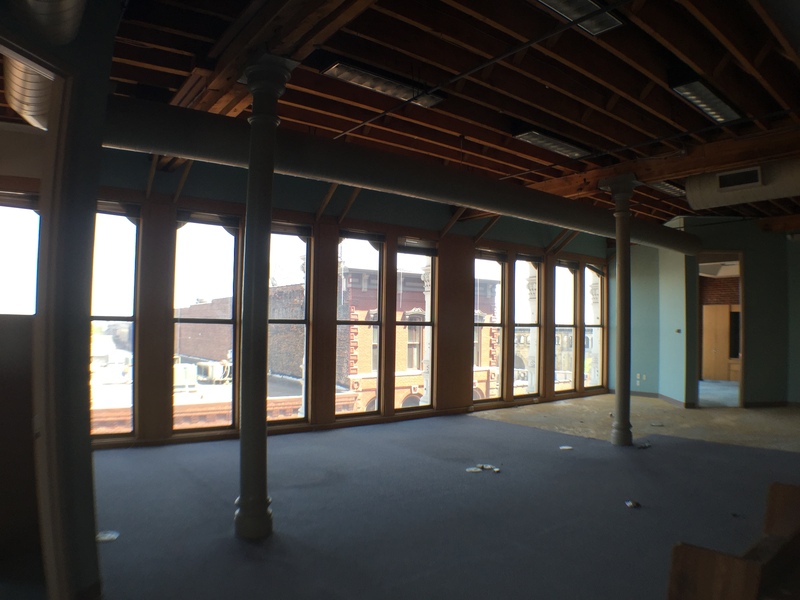 After months of searching, planning and exploring Think Tank is officially moving our corporate headquarters to Laclede’s Landing in downtown St. Louis. That’s right, we’re movin’ on up. You can call us The Jeffersons. While we will still keep a small office in the Edwardsville, IL area we are moving our main headquarters to 5,400 fabulous square feet in the Raeder Place Building located at 727 1st Street in downtown. This new location offers us room for all the expansion we’ve done over the past year as well as a place to house our sister company, White Buffalo Film Studios. The new space has some cool agency-like qualities like floor-to-ceiling walls of windows overlooking the Mississippi River, 15 foot ceilings, 10 foot doors, two large conference rooms with some super rad features, cool iron posts, brick walls and so much more. Oh and the kitchen….we won’t bore you waxing poetic about our dishwasher. But ahhhhhhhhh a dishwasher! Oh, and it doesn’t hurt that the Old Spaghetti Factory is in our building too as the smell of garlic bread sometimes wafts into the elevator. Mmmmmm….garlic bread…. After looking all throughout southern Illinois and the city of St. Louis we finally found a place that felt like home in Laclede’s Landing. With the CityArchRiver project underway steps away from the Landing we felt it was the prime time to settle down in a place we could help revitalize and get people excited about again. The Landing has seen many rebirths and with the new biking and running trails, space for outdoor concerts, art installations and a new museum at the Arch, the Landing is poised to become a jewel in the city. And we adore that. Here’s to movin’ on up! I hope you consider including offices for rent to freelancers who admire your fun & altruistic culture. We’ll certainly consider that, Jana, and really hope you stop by and visit us once we are moved in!